Faq 2017 winners of customer service award from canstar blue ElectricKiwi.co.nz - Smaller. Smarter. We’re very happy to announce Canstar Blue has awarded Electric Kiwi the 2017 Most Satisfied Customers Award – Electricity Providers. A big ‘THANK YOU’ to all our customers who have made this possible, we couldn’t have done this without your support. 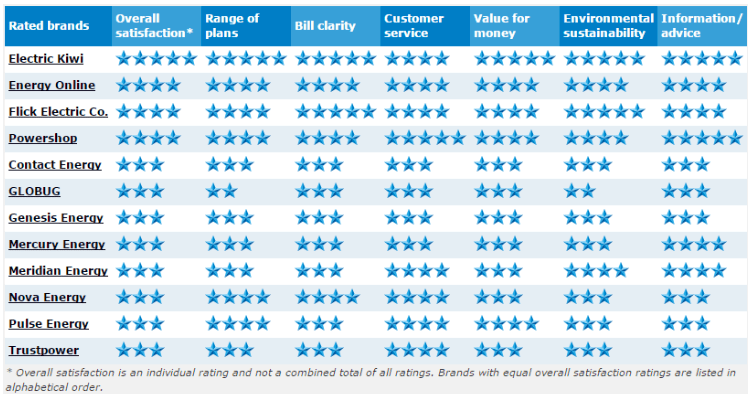 Each year, Canstar Blue asks thousands of electricity customers to rate their retailer on key criteria. This year twelve different retailers feature in the results with Electric Kiwi coming out on top. Electricity retailers were reviewed and compared on factors such as customer service, value for money and overall customer satisfaction. Electric Kiwi, achieved the maximum five-star reviews in five out of six criteria as well as five-star with overall customer satisfaction. Chief Executive, Luke Blincoe, says “Electric Kiwi is delighted to have won the Canstar Blue Most Satisfied Customers Award. It’s clear proof that consumers are looking for innovative solutions and becoming more discerning about the quality of experience they expect from their energy provider. If you’re interested in guaranteed savings, no contracts, awesome online service and one hour of free power every day, then join Electric Kiwi – Rated #1 for Customer Satisfaction.